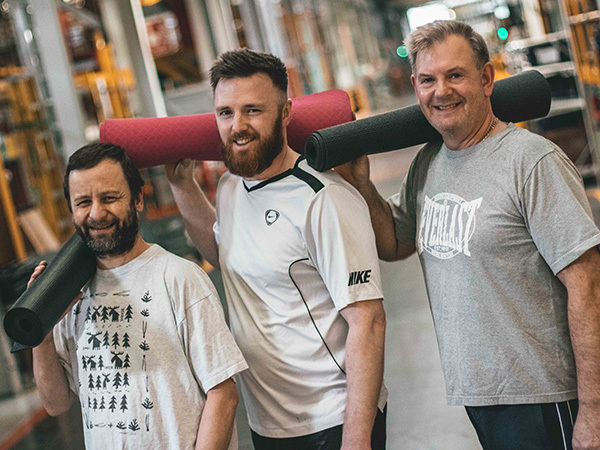 Last year the team in the Sports Car Facility hosted a wellbeing event that sparked a series of on-site exercise classes that took place after work at the end of shift. Of the different classes on offer, much to the surprise of some it’s the yoga classes that have proved to be the most popular and following the successful pilot they’re now running every Thursday at 3.15pm. 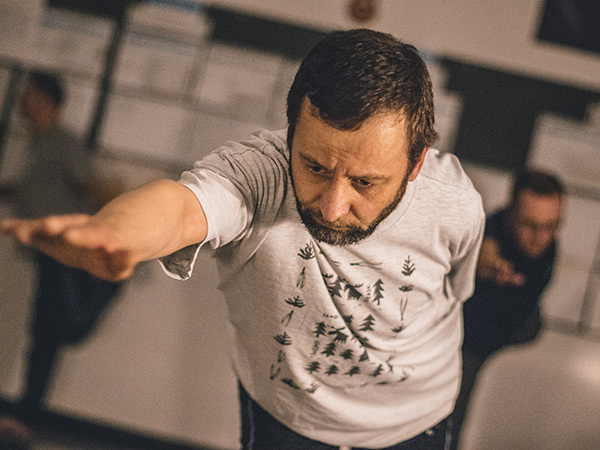 About a month ago we received an invite down to one of the sessions to find out why they’re proving so popular and how they’re helping to improve the physical and mental health of those taking part. Since the birth of my son five months ago my time spent doing any kind of fitness has pretty much dwindled down to walking the dog. When the yoga story opportunity first came up I thought to myself it was about time I got in a bit of physical exercise, so I decided to throw my gym kit to my work bag and join the class. I think it’s fair to say that when you say ‘yoga’ people have a few preconceptions about what it’s all about. For full disclosure, this wasn’t quite my first rodeo. I’d actually done yoga a couple of times before many moons ago and distantly remember not being particularly good at it due to never really having much flexibility in my shoulders. To me it always seemed like it was more for those super flexible, hippy-looking types who wanted to balance on their heads whilst showing off the elephant patterned trousers they picked up from their trip to Thailand. I’ve always played sport like football, done cardio activities like running or circuit training. I wouldn’t say I previously thought yoga was easy, but it just never really seemed like a proper workout to me because it doesn’t have that intensity about it. 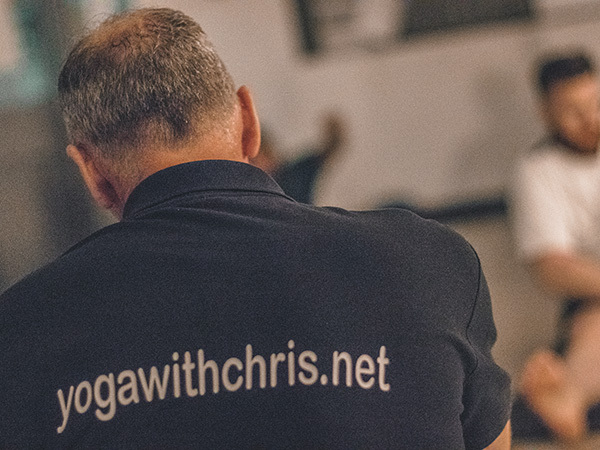 Spoiler alert – don’t let the calmness fool you, as my arms, legs and core muscles were soon to attest yoga is most definitely a ‘proper workout’ if you want it to be. I headed to A1/A2, got changed and went into to the class which was being run in the meeting space usually assigned for the daily plant management start up meeting amongst others, not usually a place described as having a zen-like feel to it. Though to be fair they’d done a cracking job creating a chilled out vibe with some lighting and relaxing music. That’s where I first met the two Daves, who’ve both been attending the sessions since last October and were keen to share how it’s been benefitted them and why they think others should get involved. Dave Aberg has worked here since 2013, starting at Solihull on Range Rovers before moving to Castle Brom where he’s since worked in Plant Launch and in the Sports Car Facility. “My fitness levels used to be quite good, I used to play rugby, go rock climbing and mountaineering, but things have tailed off as I got older,” said the 48-year-old. 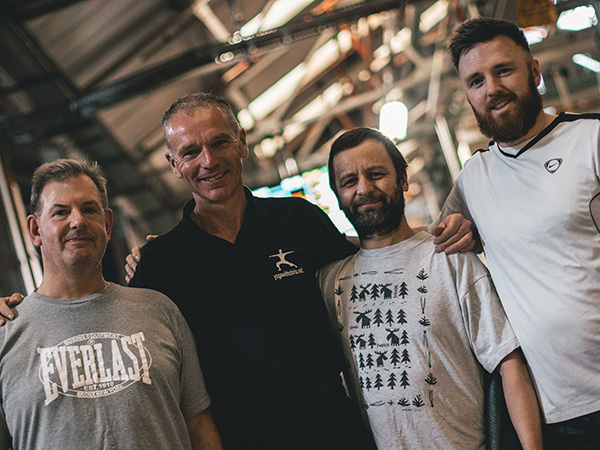 The other Dave, Dave Hewitt started at Castle Brom in 1998 and in true journeyman fashion has worked in nearly every block since. He currently works in the SCF BIW team. Both Daves work in production roles and they each spoke about the various aches that come after a full day’s work. Their jobs involve reaching up for long periods or repetitive lifting which by the end of the shift they say makes their back, neck and shoulders ache and occasionally seize up. However since they started taking part in the yoga classes they say they’ve noticed a big reduction in these types of aches and pains as well as improvements in their flexibility their overall wellbeing. Back in the room and as the session began I noticed how inclusive and relaxed the instructor Chris’ teaching style is. His philosophy is all about taking things at your own time and for each pose he’ll provide a basic move that even newbies like myself can do. What’s great is that he then gives you options to intensify the position, but doesn’t pile on any pressure to do them. The result is a session that can be tailored to how you feel and your ability, if you want to push yourself further and turn up the intensity you can. With a relaxed background soundtrack that included some Pink Floyd and Metallica, the session flew by. At the end of the hour the lights were dimmed for a relaxation exercise, a cool-down for both your body and mind. I left work that day feeling pretty relaxed and happy that I’d done some exercise. It was two days later on the Saturday when I suddenly got that ‘gym ache’ feeling that you get when you know you’ve had a good workout. I wasn’t expecting it as the session had been so relaxed, the feeling in the back of my arms and core definitely quickly changed my perception that somehow yoga was an easy option. The two Daves shared similar experiences from their first few sessions and each pointed to the progress they’ve made over six months. I asked them both what makes them keep coming back? “The convenience of it being offered straight after work is a big plus,” said Dave Aberg. “I finish work and roll straight into the yoga class, it’s much easier that going home first then having to go back out again. For Dave Hewitt the relaxation and how the sessions are helping him destress are what keeps him coming back. “The mental relaxation bit is really remarkable,” he says. 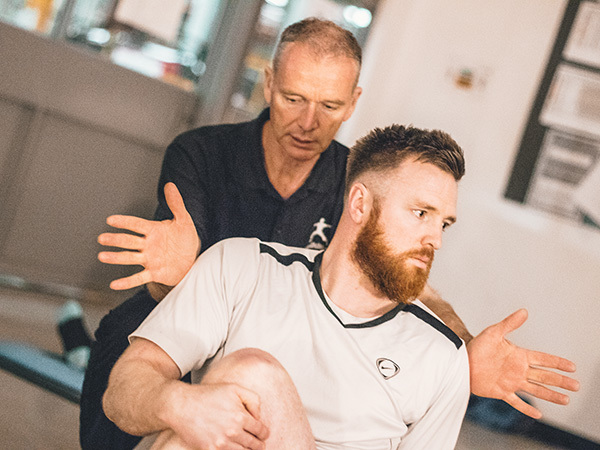 “When I started I didn’t feel that the mental side of things would be of much benefit for me but just lying on the mat at the end of the session and letting your mind wind down is a huge part of why I think it is so valuable. I go home feeling much better on a Thursday than any other day of the week. Despite my aching arms after my first session I’d have to agree with both of them. The convenience of it being at work, the fact you can use ELS to pay for it and the social and wellbeing benefits are a winning combo in my eyes. The sessions are now also open to everyone else on plant too. If you fancy trying out a session then contact Jill Lees (Jlees1) on 07770678533 for more info.